At the meeting, Governor Bevin shared that in both years of the biennium his budget includes $2 million for the Kentucky Appalachian Regional Development Fund, $2 million for the Coal County Scholarship Completion program, fully supports the state’s contribution to Operation UNITE and continues to invest in the Mountain Parkway expansion. "We welcome Gov. 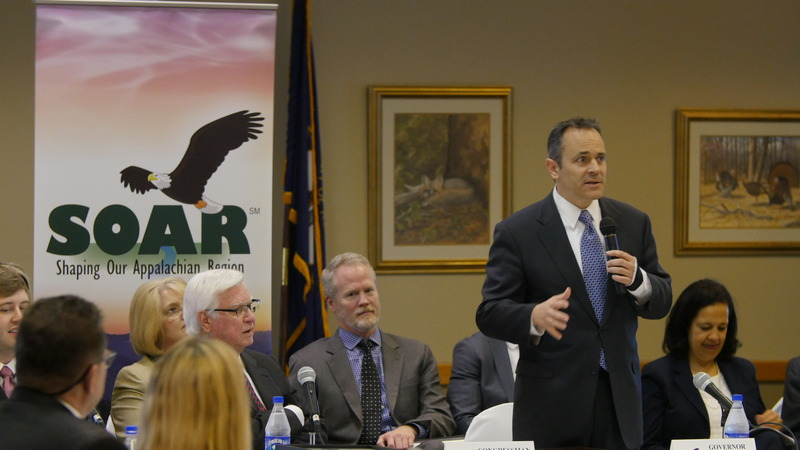 Bevin's vision and expertise to the SOAR initiative. It's a new year and there's a lot of work ahead of us in Eastern Kentucky. We've backtracked to the 1930s in coal production levels and exceeded 10,000 lost coal mining jobs since 2009," said Congressman Rogers. "Now, more than ever before, we need all of our federal, state and local partners working hand-in-hand to coordinate resources and invest in innovative opportunities that will create jobs and improve the quality of life for future generations." The SOAR Executive Committee voted to support and develop a SOAR Social Network called "Our Appalachia." The online community creates an opportunity for users to gain new jobs skills, opens access to essential information, and designs a platform to harness the power of collaboration. The network will provide a forum for innovators and entrepreneurs to work together on ideas to shape the future of Eastern Kentucky. "We hope to harness the sheer talent and brain power in Eastern Kentucky, by creating an online community that will help people collaborate from all sectors of our economy," said Jared Arnett, Executive Director of SOAR. "The coming year stands to be exciting for high-tech opportunities and ingenuity across the mountains as we innovate and redesign the way we do business and serve the people of this region." Board members also voted to support an Appalachian Health Hack-a-thon, proposed by the SOAR Community Health and Wellness Advisory Council Public Health Action Team, in partnership with the Massachusetts Institute of Technology (MIT). The hack-a-thon is designed to engage community leaders, students and professionals to brainstorm opportunities for business incubation and development that will improve the high rates of health disparities in the region. The 2016 SOAR Strategy Summit is scheduled for June 6, 2016 at the East Kentucky Expo Center in Pikeville. More than 1,500 people attended both of the previous summits. Stay up-to-date with SOAR activities online at http://soar-ky.org and on Facebook and Twitter. 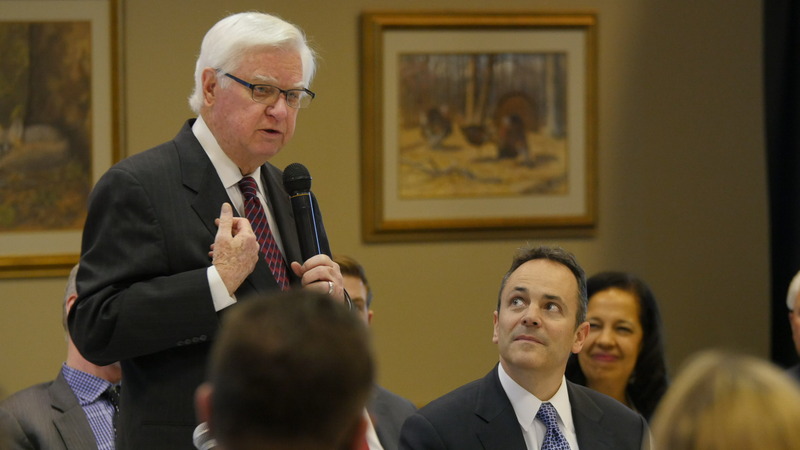 Shaping Our Appalachian Region (SOAR) is a homegrown movement in Eastern Kentucky that is building on the strengths of the region and shoring up its weaknesses. Through the wisdom, resources and energy of our people, together we will make historic change for the better – in health and wellness, job creation, workforce training, education and other quality-of-life factors.